Here we go again. Burn your city to the ground because once again you feel you've been wronged that's intelligence at it's best! How come Black Lives Matter never goes to the cities where White Cops are actually convicted and sentenced, which are a lot more than not! Pittsburgh anchor Wendy Bell has been fired from ABC affiliate WTAE for a recent Facebook post in which she used racially stereotypical language in talking about "young black men." "They are young black men, likely teens or in their early 20s," Bell wrote. "They have multiple siblings from multiple fathers and their mothers work multiple jobs. These boys have been in the system before. They've grown up there. They know the police. They've been arrested. They've made the circuit and nothing has scared them enough. Now they are lost. Once you kill a neighbor's three children, two nieces and her unborn grandson, there's no coming back. There's nothing nice to say about that." What was wrong with what she said? Was this one of the things she was saying? or was this what she was saying? 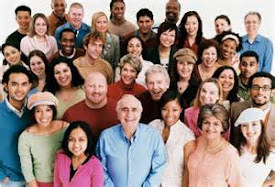 Blacks account for only 14.3% of the total population in the United States. It's time we stopped calling people racists because they have an opinion about FACTS. It's time we started seeing past color and actually get to the root of the problems and fix them. 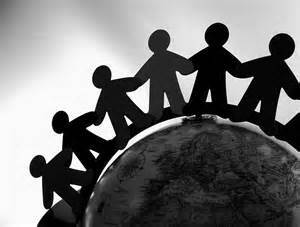 Stand up, stand together or fall apart! I could've been posting this information all day but had to stop at some point. This kind of information is buried by the Mainstream Media and everyone else for racial purposes. It couldn't be that those individuals being arrested are actually committing crimes? LOL Once again the racist screaming racism. Instead of holding people responsible for their crimes we should just allow them to commit those crimes with no consequences? What a complete and utter douchebag that should be fired immediately along with the person that hired her! He says he's retracting his endorsement of Donald Trump. Hillary Clinton can add a new name to her list of endorsements – a prominent Ku Klux Klan member who says he likes her because of her "hidden agenda." Will Quigg, a grand dragon of the Ku Klux Klan's California chapter, told the Telegraph Monday that he would be switching his support from Donald Trump to Clinton. 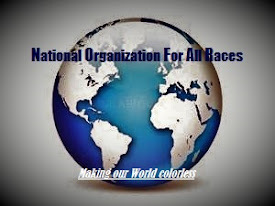 If you're endorsed by a racist, then you might be one yourself and we at National Organization For All Races don't leave out the Trump endorsement either. Charter schools are four times more likely to suspend black students than their white peers. Charter schools suspend students at a much higher rate than non-charter schools, some of which have suspension rates north of 70 percent. But a disproportionate amount of those suspensions fall on black students, who are four times more likely to be suspended than white students, and students with disabilities, who are twice as likely to be suspended as their non-disabled peers. Those are just some of the inequities highlighted in a blistering new analysis from researchers at the Center for Civil Rights Remedies at the University of California, Los Angeles. This article suggests that they didn't deserve the punishment they received and that's racism folks! We need to learn from these statistics, identify the root causes and deal with them, not blame one side or the other about some statistics, by the way that are true! The inequities highlighted in this article only exist in the mind of a racist. You are relying on these statistics to make a case for racism and saying that they're true but you refuse to see that maybe there is another cause to the inequity other than racism. You people are so quick to shout racism because you have no answer for what the true problem is or choose not to deal with it at all! Sanders' platform on environmental justice shows he puts people before profits. People of color get sick and die from environmental pollution at disproportionately high rates in the United States. African-Americans are three times more likely than whites to be hospitalized or die from asthma. Latino children are twice as likely to have unsafe levels of lead in their blood than other children. Disparities in nitrogen dioxide exposure alone leads to 7,000 unnecessary deaths from heart failure among people of color each year. This environmental racism is only rarely mentioned in the media and it has received little attention from most presidential candidates. Sen. Bernie Sanders is an exception: His racial justice platform explicitly commits to ending environmental violence along with physical, political, legal and economic violence in communities of color. Sanders recognizes that African-Americans, Latinos, indigenous peoples, immigrants and other communities of color are disproportionately burdened by environmental hazards like toxic air and water pollution, lead and pesticide exposures, and the effects of climate-related disasters. Sanders’ acknowledgment of the disproportionate morbidity and mortality faced by communities of color from injustices is important. The first step in solving a problem is admitting it exists. He also understands that environmental injustices in this country are not accidental or disconnected, but rather "the product of political marginalization and institutional racism." Backlash against a plan to remove prominent Confederate monuments in New Orleans has been tinged by death threats, intimidation and even what may have been the torching of a contractor's Lamborghini. For now, at least, things have gotten so nasty the city hasn't found a contractor willing to bear the risk of tearing down the monuments. The city doesn't have its own equipment to move them and is now in talks to find a company, even discussing doing the work at night to avoid further tumult. Further complicating the issue was a court ruling Friday that effectively put the removal on hold. Initially, it appeared the monuments would be removed quickly after the majority black City Council on Dec. 17 voted 6-1 to approve the mayor's plan to take them down. The monuments, including towering figures of Gens. Robert E. Lee and P.G.T. Beauregard, have long been viewed by many here as symbols of racism and white supremacy. We can destroy all of the monuments that exist but we will never destroy the memory of racism until we embrace the past. These statues are viewed by those who want them to remain as symbols of their heritage, not of the racism, but the good in the people the monuments represent. 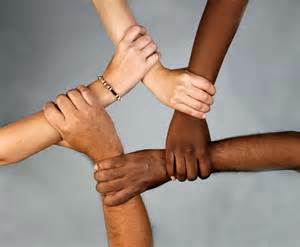 All people no matter what color have been discriminated against at one time or another in their history. No one is exempt! We should not allow our past to define the weakness in our future but derive strength from it! 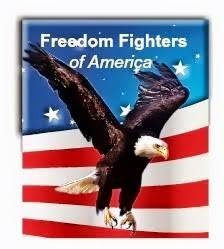 FREEDOM FIGHTERS OF AMERICA FRESH AND TRUE NEWS 24/7 WITH NO HYPE! Many liberals are expressing unhappiness that President Obama’s Supreme Court nominee is a white male, as the president tries to rally grass-roots support for Judge Merrick Garland in the uphill battle to gain a confirmation hearing from Senate Republicans. Wow, isn't that racist? Yep, Yep, Yep! CHICAGO— A 22-year-old man was charged on Monday with the execution-style killing of 9-year-old Tyshawn Lee, a Chicago boy who in November was lured into an alley and shot in a grisly gang-retaliation murder, police say. Dwight Boone-Doty, who was already in the Cook County Jail on unrelated gun charges, has also been charged with another murder. Police say he was the trigger man in the Tyshawn Lee murder. 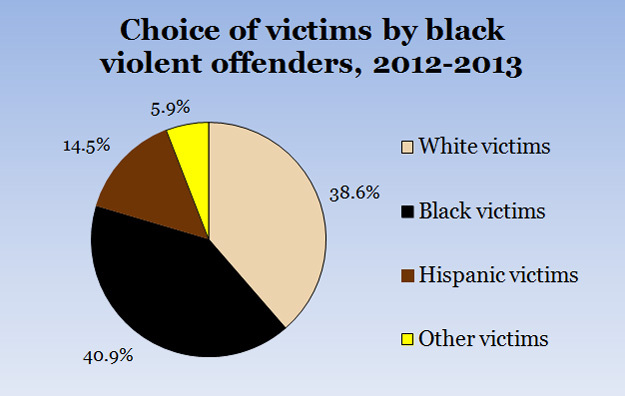 More Black on Black crime. By the way Dwight Boone-Doty is BLACK! Where are you Main Stream Media? Hey Barack Obama, Al Sharpton, Eric Holder, Loretta Lynch, Jesse Jackson, Tavis Smiley, NAACP and Black Lives Matter please comment on this one. Also, tell us why Black on Black crime continues to happen in Black communities? You see where the real problem is but choose to blame it on a ghost that no one can truly see! FLINT, Mich. — The 2016 presidential election is unfolding in black and white, in arguably the most racially polarized fashion in at least a generation. Democratic front-runner Hillary Clinton is making the most relentless pitch for African-American votes perhaps in decades. Barack Obama, the first black nominee for a major party ticket, didn’t have to campaign as aggressively for that constituency. Bill Clinton delicately balanced his appeal to black voters with his assurances to center-left whites that he was on their side.